YOUR DREAMS ARE OUR INSPIRATION, ACHIEVE THEM WITH US! Titan Cut L.L.C. is completely owned and operated within the US. All of our panels are produced in the United States. Here at Titan Cut L.L.C. we are trying to stimulate the American economy as much as we can. This way our families and coming generations will see many more benefits versus doing business anywhere else in the world. We specialize in designing, creating and producing laser-cut screens. Purchasing from Titan Cut L.L.C. gives you unlimited options. Laser Cut Screens are different patterns and designs cut into a piece of chosen material. 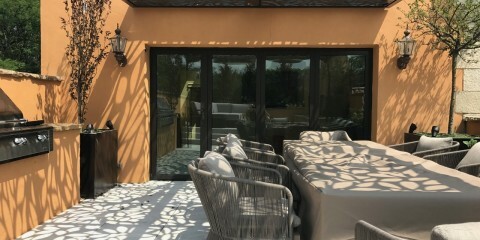 Our screens can be made in a range of materials: aluminum, stainless and mild steel, corten etc. They can be used in numerous ways and for numerous purposes. All laser cut screens can be used in luxury hotels, restaurants, offices, apartments and houses, depending on a design and materials they can adjust to any area. Check out our options and suggestions, contact us and we will help you develop your ideas and transform them into a masterpiece. Make your design come alive at night. Our durable lighting system adds an instant effect to your design and area. – Panels with lighting – choose between 20 predefined programs with automatic and sequential lighting changes or manually select one static color of light. Cityscape Sale Check out the cityscape panels at Titan Cut on sale through the holidays. All sizes, lighting options, and metals on sale now for both New York and San Francisco panels. Give you .. Custom Design Rooftop Pergola One of our newest Titan Cut creations is this rooftop pergola. This unique design casts an olive tree shadow down, shading it’s occupants. Made to withstand the weather and ..
Summer Sale Going on Now for a Limited Time! Check out the selection of panels we have put on sale just for summer. 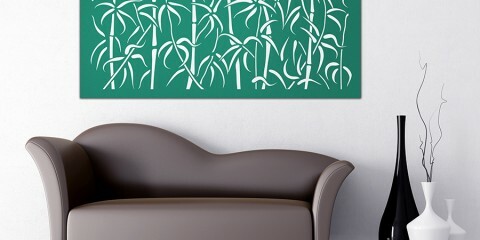 These summer themed panels will liven up any room or decor in or out of your house. These sal ..
Spring has arrived and so has the Spring Sale 30% off selected panels 30% off selected panels for Spring. Don’t let the spring sale selection pass you by. Selected panels on sale now for Spring. Sale ends soon so don’t wait too long. ..
Winter Sale Going on Now for a Limited Time Check out the sales for the winter season. 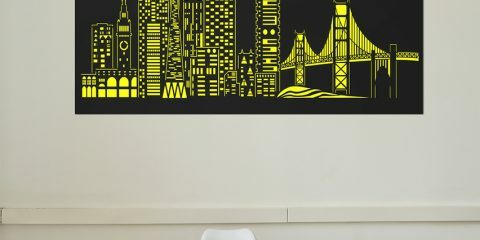 Get a new look for your walls to help with your cabin fever this winter. 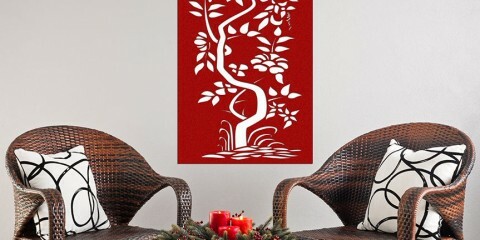 Spice up your walls with some unique laser cut panels. Right ..